This self-driving Range Rover Sport can respond to traffic lights and navigate intersections without any intervention. Love it or hate it, automakers are envisioning self-driving cars as the future of the auto industry. 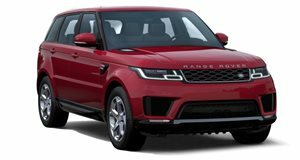 Now, Jaguar Land Rover has made a significant stride in the development of self-driving technology with the reveal of the first fully autonomous Range Rover Sport. Autocar reports that the self-driving SUV is capable of Level 4 autonomy, meaning that it can theoretically drive itself in any situation – but it still requires a human to sit behind the wheel to intervene if necessary. When driving in a simulated road network, the autonomous Range Rover Sport can respond to traffic lights and negotiate intersections and roundabouts without any intervention. The self-driving Range Rover was first shown off as a prototype at a testing facility in Nuneaton, UK, where autonomous technology from the likes of Ford and Tata Motors was also on display. According to Top Gear, JLR is working with partners to develop semi and fully-autonomous vehicles as part of a $25 million Autodrive project to bring autonomous vehicles to British roads. While the self-driving Range Rover Sport has only been tested on a closed circuit, JLR plans to test it on public roads in the UK before the end of the year. Initially, testing will take place on closed roads, before progressing onto traffic-filled roads in 2018. JLR has already demonstrated Level 2 and Level 3 self-driving technologies, but the ultimate goal is to achieve Level 5 autonomy where the car can drive itself with no one inside. The automaker is also working on autonomous off-road driving tech and wants to create autonomous cars that drive like humans rather than robots using data gathered from people's real-world driving habits. Considering this Range Rover Sport is capable of Level 4 autonomy, JLR is already ahead of the competition in the self-driving car race – though Tesla could bring out a car with Level 5 autonomy as early as next year.